Now You Can Have the Perfect Smile! **Studies have shown that a smile is one of the first physical attributes a person notices when meeting someone for the first time. Smiling is one of the most simple and powerful tools to get people to like you. First impressions are very important in the dating world, in the workforce, with job promotions and in signifying kindness and confidence to others. So, why not have a beautiful smile! You deserve it! A beautiful smile operates via an emotional contagion that puts others you meet in a good mood and moods can be transmitted between people. When you naturally place others in a good mood with a beautiful smile, they are more likely to respond in a positive way around you. They like you! You will also be helped by others and get what you seek from others. That’s called being successful! In Dale Carnegie’s classic book: “How to Win Friends and Influence People,” he offered six simple suggestions for how you can get people to like you. The number one suggestion was to smile! So, if you feel you have crooked teeth, gaps between your teeth, missing teeth, crowded teeth, stained teeth, yellow teeth or they are chipped, cracked or broken, we can help you! We want people to instantly like you! We want you to be successful in life! Ask about our in-house whitening procedure and our take home “Whitening for Life” program. We can take your teeth 8 to 10 shades lighter. We offer beautiful porcelain veneers, metal-free porcelain crowns and bridges along with porcelain implant crowns. We can replace old discolored fillings and crowns. Our doctors place only white tooth-colored bonded composite fillings. They do not place silver, amalgam mercury fillings. Dr. Bridenstine and Dr. Boldry are well-known in the Kansas City area for doing cosmetic and extreme-make over dentistry. Dentistry is an art and a science. Allow our artistic, experienced, attention-to-detail doctors to personally custom design your new smile, so you can finally have the beautiful smile you’ve always dreamed of. *Cosmetic Dentistry is not a recognized dental specialty. **Pugh, S. Doug. “Service with a Smile: Emotional Contagion in the Service Encounter.” Academy of Management Journal 44, no.5 (2001): 1018-1027. We use the latest, innovative techniques in cosmetic dentistry to work wonders on your smile. We offer a number of cosmetic dental treatments to meet all of your goals. We’re positive that after your cosmetic procedure, you’ll feel more confident in the way you look and excited about how your new smile makes you feel. 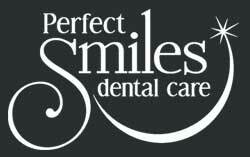 No matter what the occasion or the reason behind your new smile, we are here to help you put your best foot forward. Call one of our friendly staff members to book an appointment today! Call or contact us today to schedule an appointment.